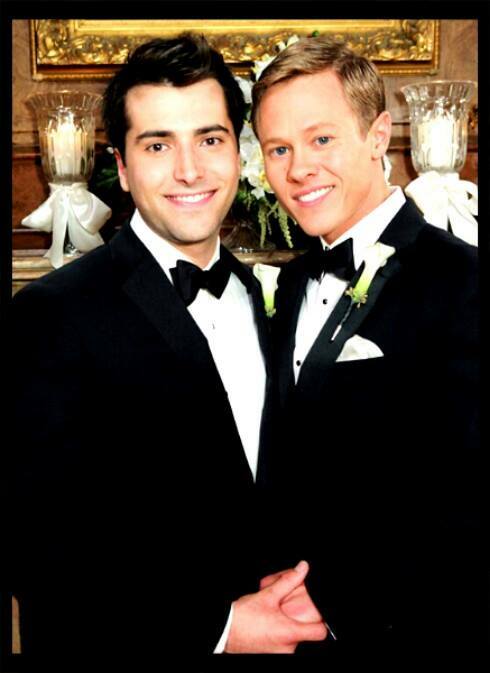 Daytime Emmy Q&A: Freddie Smith. I’m very happy with the way things are going. Everything Sonny wants, he gets, even though there’s all this drama. He’s a cool character. He’s just so smart and always has a level head. He’s always the man. But he’s been such a poster child [that] I’m just waiting. I know there will be a time where he unravels. That’s going to be fun to play and see how he deals with it. You don’t want that stuff to happen in your real life, but on TV, it’s cool to play a spiraling character. It’s fun to get those emotions out — get angry and upset and say things you’ll regret. That drama is what soaps are about, and as soon as they yell cut, you can go back to your happy self. Nice interview with Days of our Lives’ Freddie Smith, who plays good guy Sonny Kiriakis. He and his on-screen love interest, Chandler Massey, are competing against one another in the Outstanding Younger Actor category. The Daytime Emmys will be presented tomorrow, June 16.